How can you not love the dragonfly? It does no one any harm and generally looks absolutely fantastic as it flies through the air - Besides, it´s the closest thing we will get to a dragon in this life! All the more reason for our talented team of designers to transform it into a fantastic insect decal, which would look great anywhere in your home! 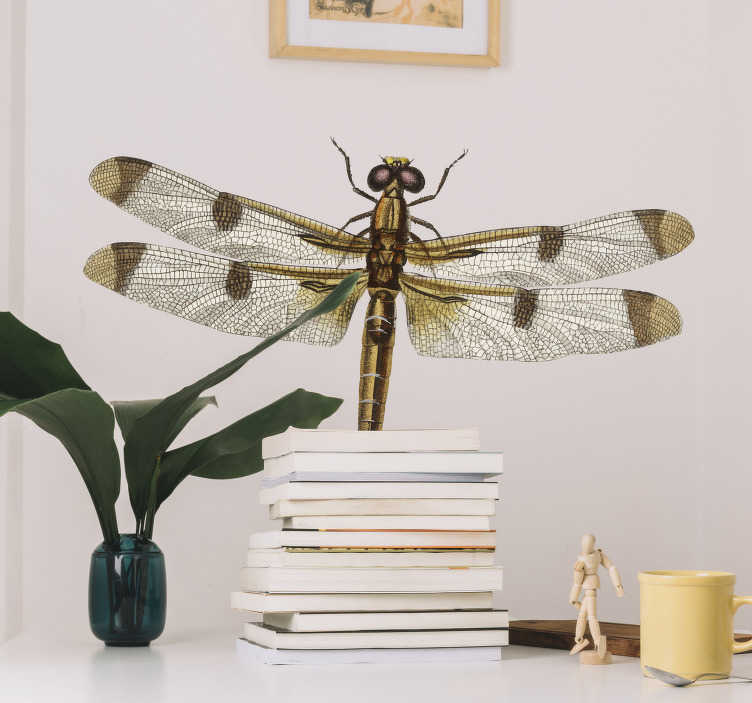 Perfect insect decor if you wish to add something that will set tongues wagging!